Barium is one of the alkali-earths metals with chemical symbol Ba and atomic number 56. It is a solid and golden-grey metal at normal pressure and temperature, it is very strong to cut, but less than Beryllium. 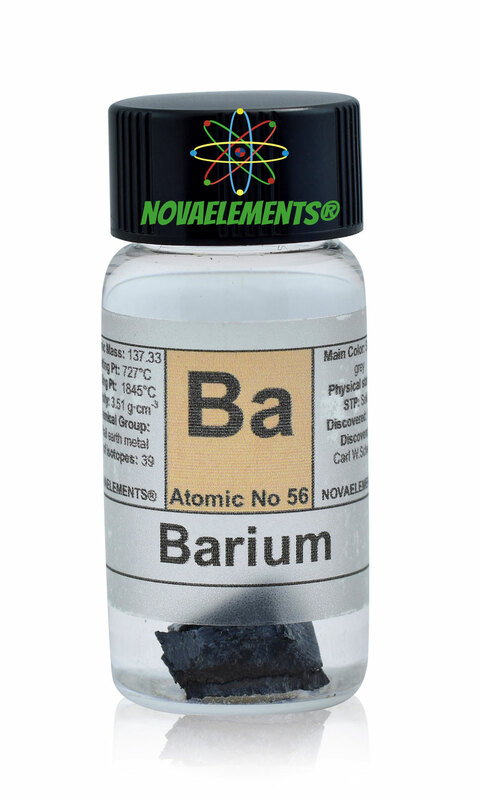 Barium metal reacts fast with water producing Hydrogen gas and barium hydroxide. 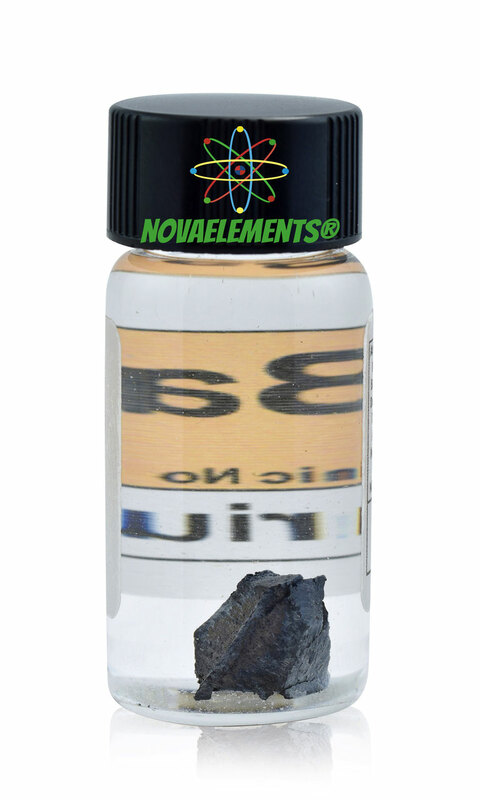 Moreover reacts with air producing a black film on its surface due to the presence of oxide, for that reason we cut the metal only once bought and put this in high quality mineral oil. high purity Barium metal pieces element 56 sample of 1 gram under mineral oil in glass vial. 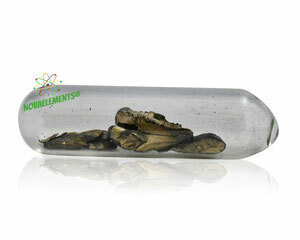 Pure Barium metal sample.